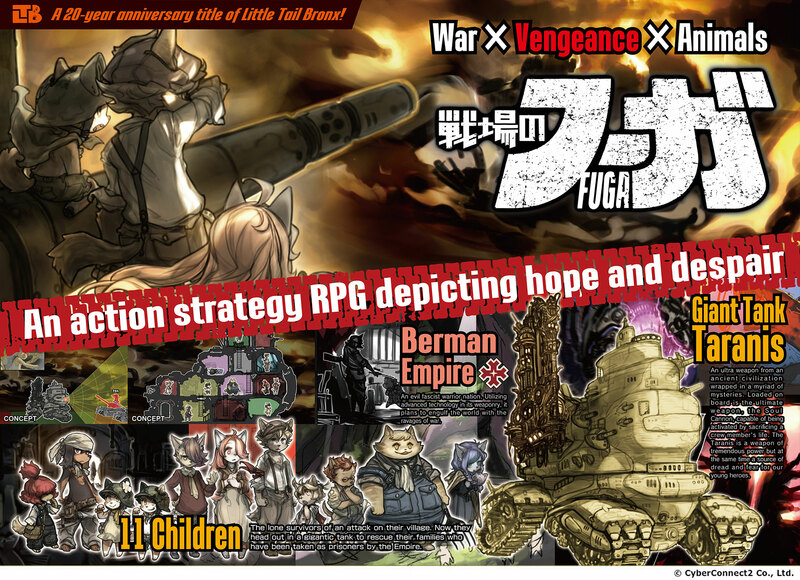 CyberConnect2’s Little Tail Bronx followup Fugue on the Battlefield was originally planned for this summer. However, it has now been confirmed that the game has been pushed back and will launch sometime during the fall instead. CyberConnect2 hasn’t delivered a whole lot of news on Fugue on the Battlefield as of late, but that should be changing soon. Famitsu will host a gameplay live stream with company president and CEO Hiroshi Matsuyama and director Johan Gerrit on March 25, which you can watch below. Matsuyama will also discuss CyberConnect2’s “Next Plan” that covers the next ten years.